Waves from the clear and deep Lake Tanganyika surge the shore outside Bujumbura, Burundi´s capital. Cattle is driven down to drink in the heat and fishermen sit on the beach and clean their nets. With the small boats, their catch is meager and one day´s work brings only a few dollars. 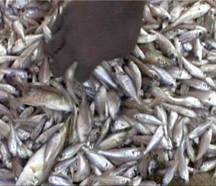 -It can even be less than that, sometimes we only get 500 (Burundi francs, about USD 0,5) for a days catch. The nets are bad. An overwhelming majority lives under the powerty limit of one dollar a day and for them, democracy and the upcoming elections mean little. 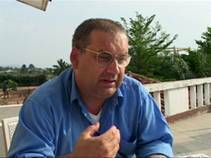 Burundi, little and very poor, has been paralyzed by violence since independence in 1962. More than threehundred thousands people have been killed in ethnically manipulated tensions between Hutus and the minority Tutsies and near a million have been forced to flee. In Kinama, at the outskirts of Bujumbura, only Hutus live. The Tutsies have fled and houses stand empty. In spite of a peace-process going on for over three years, sporadic fighting occur close. -Yes, we are afraid. Every night we cannot sleep because we hear guns shooting. FNL, the only guerilla movement who haven´t agreed to the peace-process, is based not far away and together with high criminality because of lack of police, unsecurity is high for all. 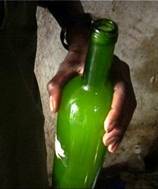 Augustin tries to support his family by selling banana wine and they rent the house from a Tutsie. Themselves beeing Hutus, they try to overcome fear of attacks from the other group. -The problem is the fear we have got in our hearts. But they can come back, we are going to live together again. 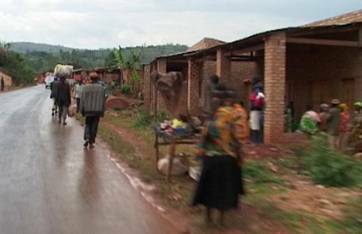 High up on the inland plateau in central Burundi is one of eleven assembly areas for the former combattants. From officially 35.000 rebels, 20.000 are encamped in the country. A proof that the peace process gives result. -Fighting is not a solution any more. If it was, we would not be here. 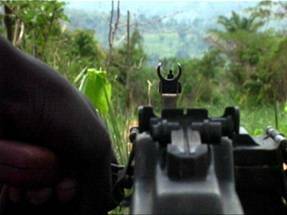 Most here have had family members killed in massacres by the former army and even the young rebels here have been fighting for many years. -I became a soldier because of the war. If there was a way for me to go back to school, I would like to. But the 1.500 ex-combattants have been here close to a whole year without pay. 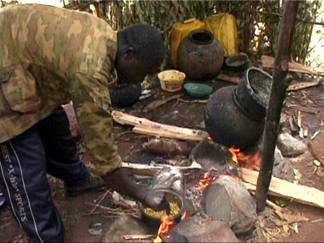 Food is bad, malaria and diseases are common and they sleep in simple grass huts exposed to cold in the night. -Yes, we built it ourselves... you see how it looks with this old tent as a roof. Soldiers from the new integrated army guard the camp. The ex-combattants have handed in their weapons but so far the demobilisation process hasn´t started. 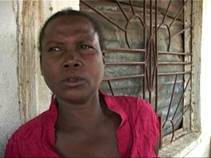 -Of course we are frustrated about this situation because the government doesn´t do anything. We do nothing here and if we were demobilized we could work or if we were reintegrated in the new army we would get the same advantage as them. 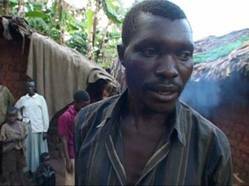 Burundi is paralyzed by deep political cleavages. To finally agree upon a peace deal has required heavy pressure from abroad. -Pressure, yes, we are doing it as the UN but also within an concerted effort also with other partners in the international community, especially with the region and the facilitation of the Burundi peace process. Independent radio is very important, beeing the primary source of information. By open discussions and unpartial news, civil society has been strengthened. -The politicians are not very influential any more. They don´t have the power to manipulate now because there are independent media. Radio RPA, as well as the other independent stations, steadily increase their listeners and also the govenmental radio and tv has improved journalistically. This has opened up the political climate but still, certain politicians do all they can to cling to power by trying to increase ethnical tensions. -Clean people are scared to go inte politics and the dirty ones are there and that is why they are playing these ethnicity games. 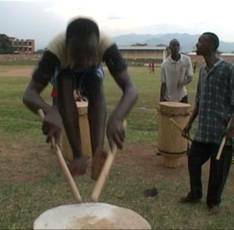 In the evenings, drum bands practice in the dilapidated stadium of Bujumbura, and soccer is played. Last elections in 1993 ended in a military coup and ethnical mass-murder. Now a long peace process have paved the way for new elections among most groups. -I think the major difference is now these elections are coming as a result of a wide process of consultation and a wide process of reconciliation. But little Burundi with 8 million people can hardly afford costs for elections. The whole government expenditure is less than 150 million dollars. Reforms have slightly improved the politics, the judiciary, the military and the economy. But there is still a long way until people can trust a new government. -If they can just organize the state to be run like a state that will be the first and number one thing to give hope to the people. 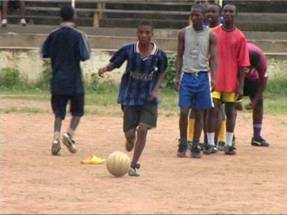 In the heat, training produces sweat at ”Camp Espoir”, Camp of Hope. 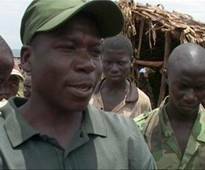 2000 men from the former army and rebel movements train together to build the new integrated Burundian army. -After one month of training here in this mission they will be ready to fight together under one single command. A National Commission for Demobilisation and Reintegration oversees the process of disarmament of all combattants, paid for by the World Bank. 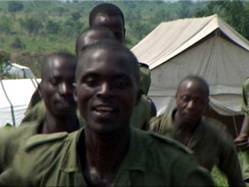 As the result a new Burundian Army half the size of today shall be created equally composed of former rebels and army soldiers. Even from the beginning they had to share tents. -We don´t come from the same army. 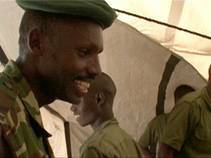 There are som here in this tent from the former Burundian army and some from the rebellion. The camp received new kitchens and generators from the European Union on the condition that the ethnical composition of the new army better represents that of the population. A demand that also aggravates ethnical considerations. -We shouldn´t need to consider about ethnicity. If we could get all ethnicities into this army who are able and willing, that would be the best for me. Guards close outside of the camp watch out for FNL, the small movement still fighting. 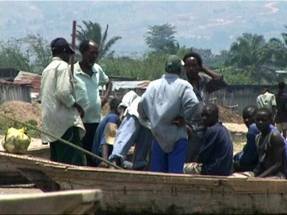 FNL is aligned with groups in neighbouring DRC and can still cause harm. -A few times they tried to attack the camp but we were here waiting for them. Certain political-ethnical groups risk loosing power and influence. They do anything they can to raise ethnical tensions and hence stop the fortcoming elections. -These days the politicians have been discussing about the new constitution and we became afraid because their opinions were seriously opposed. It seemed that each party wanted his own constitution. 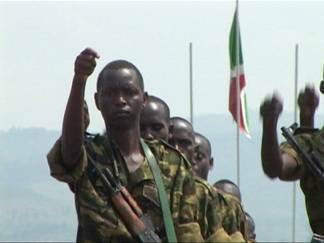 UN forces in Burundi have a peace-keeping mandate which gives the right to use military means to protect civilians. Strength is now close to the mandate of 5600 troops. 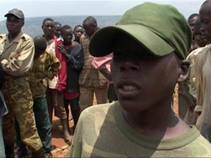 But the UN gross failure of 1994 in neighbouring Rwanda, makes the Burundians doubtful. -If violence escalates and the UN is here... we just hope they will do what they are supposed to. -If there is an outbreak of violence of course our forces are expected to play their role according to the mandate of the force. Anyhow, increasing stability in spite of uncertainty regarding the upcoming elections, has made lots of refugees to return. Since 2002 more than 200.000 and increasing. Most come from camps in neighbouring Tanzania. -When we fled I closed my house and everything was ok. But you can see how it looks now when we are back. The family came back this autumn after having spent ten years in Tanzania. Their son got married there and had a child. -The conditions were bad (in Tanzania) and we didn´t have enough food. When some Burundian leaders came to tell us that we are recovering peace, we decided to go back home to Burundi. The family is Hutu, and some of their Tutsie neighbours are back. 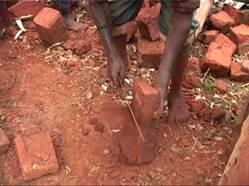 But close to one million still live in displacement camps scattered all over Burundi. -There are some (tutsies) in the displaced´s area over there. 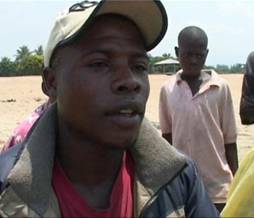 More than a quarter of a million Burundians are waiting in Tanzania. The UNHCR expects about another 150.000 to return this year. -People are confident that the peace-process is working and will continue to work. When people are voting in such big numbers with their feet, then it´s a positive sign. 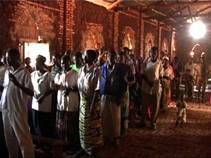 Drums, singing and dancing in the church in Karuzi, in the middle of Burundi. Hutus and Tutsies pray together and nobody care about ethnicity. The difference towards the newly returnees is bigger. -Some of them have many years outside in foreign countries and they need / integration with other people who didn´t move. Some of them receive a little help-package, but most return to misery in the overpopulated country, almost to starvation. -I´m happy to be back here but I don´t know how we will be able to pay something to cover the house. I used all money I had to build it. If this falls down in the rainy season I have no means to build another. Actionaid, one of many humanitarian organizations, hands out tools enabling people to support themselves and to make a living. 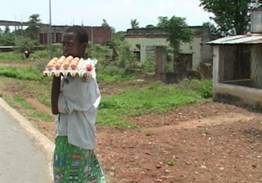 Burundi needs conditions to develop it´s economy and ease the dependence of agriculture. This process can be fast if stability continues. The whole peace-process has been driven forward by longtime efforts by the region, especially South Africa and shows a willingness by African countries to create common security. -If these elections take place in the way we wish they will, then they certainly will contribute to the peace and stability in the region. But not the least, the people themselves need to be convinced. The dark past of the country still lingers in the memory of most Burundians. -I do not want again to be forced to flee because of war. What I want is to have peaceful elections and to live together again in peace. But if those elections will make me flee again, then it´s better not to hold them at all.